Sending documents through fax has come a long way that even up to this day it is still widely used by many businesses and organizations. With fax machines come proper fax etiquette, and this includes sending in fax sheets. 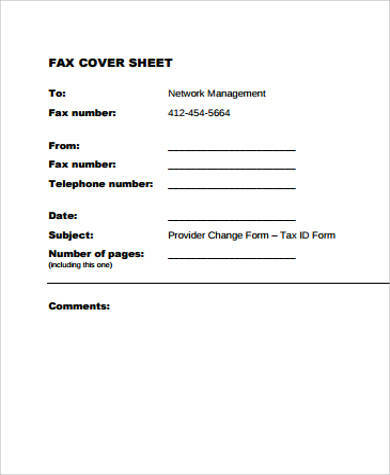 Fax cover sheets basically alert the recipient about who the fax is for and what’s included in it. Sending in a fax sheet before the actual documents that you are sending through fax is common etiquette in the world of fax machines. It becomes an effective way of efficiently taking care of a large amount of documents that come and go in the office. Our Sample Fax Cover Sheets give a glimpse of what should be included when it comes to fax sheets. 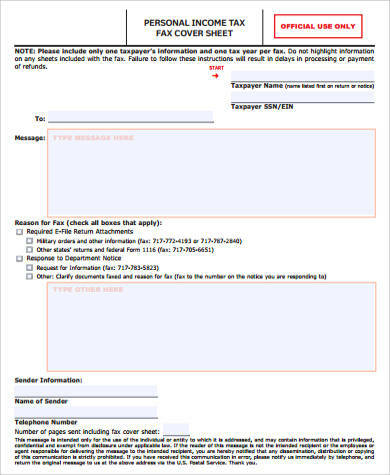 Never forget to place a privacy note on your fax to let the recipient know if the fax is urgent to let recipients know that immediate actions are needed to be done or if it is confidential to avoid disclosure to unauthorized people. Always include the number of pages for the fax. This way, in any case that pages received by recipient is incomplete, the sender can be alerted quickly. Let the recipient know what actions must be done upon receipt of the fax. Always include sender’s contact details. Ensure that name/company name, contact number, and other contact information credentials will be included for easier means of communication between the sender and the recipient. 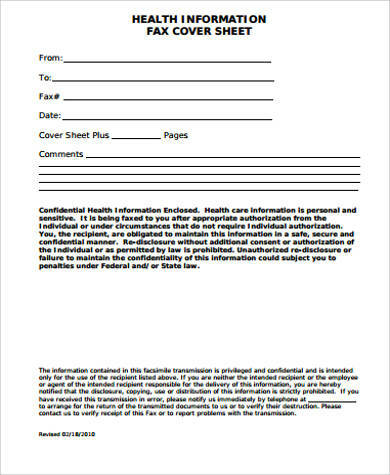 There are multiple examples of fax cover sheets that you can find in our website. 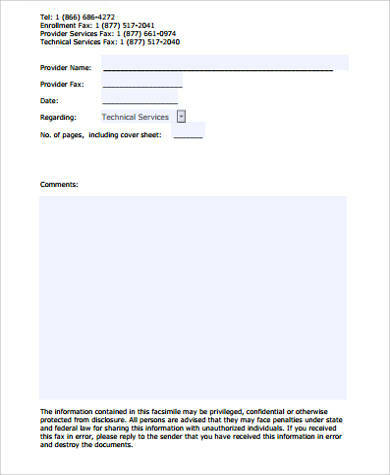 Fax Cover Sheets in Microsoft Word and Sample Office Fax Cover Sheets contain examples that you can use in an everyday office setting. Sending in a fax is a crucial task. You need to pay attention to the details that you are sending to guarantee that mistakes would be avoided. 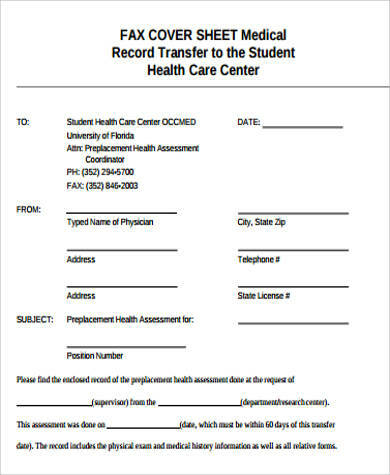 Fax sheets lets the recipient get an idea about what documents are going to be sent in and an overview about what is being sent by the sender. It is also a way for the recipients to confirm if the full document was received. Sending in a fax is crucial. You need to pay attention to the details that you are sending to guarantee that mistakes would be avoided. The use of our fax cover sheets templates lets you draft one without spending too much time and effort. The important fields are already included, which makes work more efficient. 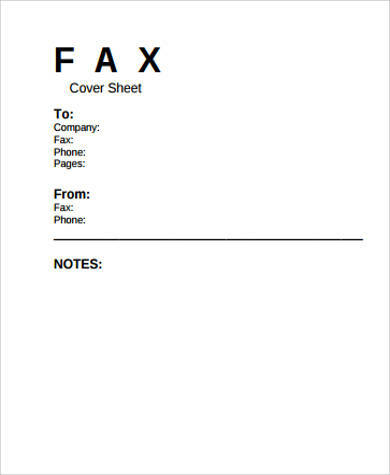 These templates are in various formats and designs that would help make your fax be more professional and sophisticated. This gives various choices when it comes to trying to pick one that would best suit the company’s preferences. These can also be edited and customized. 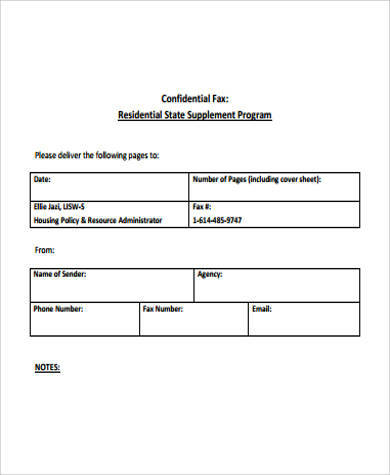 You can also refer to Sample Confidential Fax Cover Sheets.